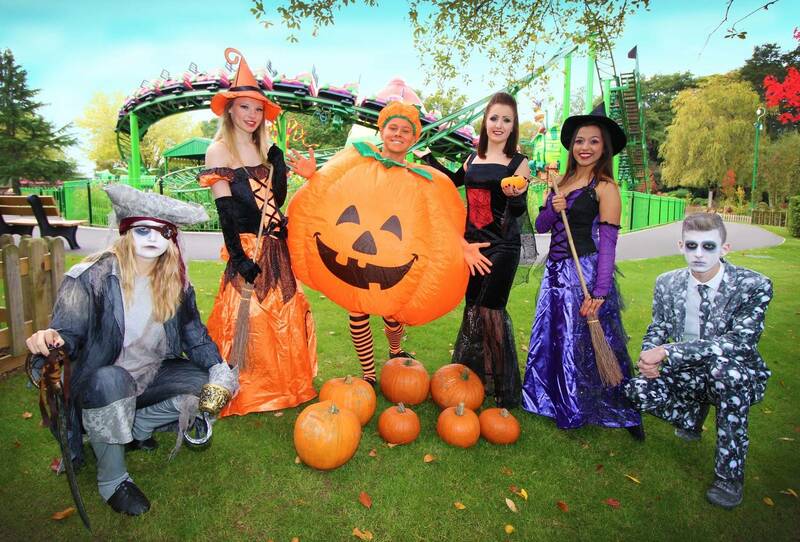 Paultons Park is set to host its family-friendly Halloween event for a second year, with ‘spooktacular’ entertainment on offer to guests visiting throughout the October half term (Saturday 22 – Monday 31 October). Included within the admission price, the UK’s number one amusement park as voted for by Tripadvisor, will celebrate Halloween with array of frighteningly fun activities for its little visitors, including a Monsters’ Ball, meet and greet and a fancy dress competition. At intervals throughout the day the Show Stage will host The Little Monsters’ Ball, a daytime dance party that will see monsters dance to ghostly tunes where youngsters can join in with the scary spectacle. Families will be entertained with spooky meet and greets from magical and mysterious guests, including weird and wonderful witches, vampires and pumpkins, who will be playing tricks on visitors. It wouldn’t be Halloween without a freaky fancy dress competition, the Hampshire-based park which is home to Peppa Pig World, is encouraging youngsters to wear capes, costumes and an array of face paints for the chance to impress judges and win a prize. The competition will take place on the Show Stage, with judging at 3pm for five years and under and 3.30pm for over five years. All of the theme park’s rides and attractions are open as usual during this time, so visitors can still enjoy the new rides at Lost Kingdom, adventure across to the Beastie Burrow in Critter Creek and head to the 4D Cinema on Show Street. For further information about Paultons Park, its Halloween activities and to book tickets online in advance at to save money visit www.paultonspark.co.uk.